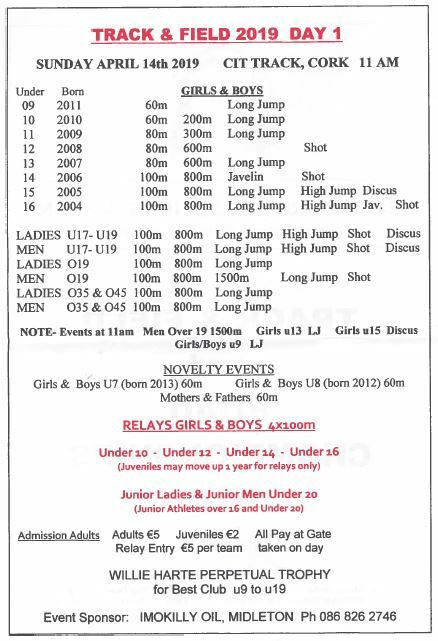 Senior News – ST CATHERINES A.C.
Little Athletics joins Juvenile training at Conna pitch 7-8pm Monday 1st April. Please be patient as car park will be busy. NO PARKING on the road outside sports field. Over 30 runners from our club took on the challenging course and the huge field of nearly 3,000 athletes. There were some great performances from all of our athletes. 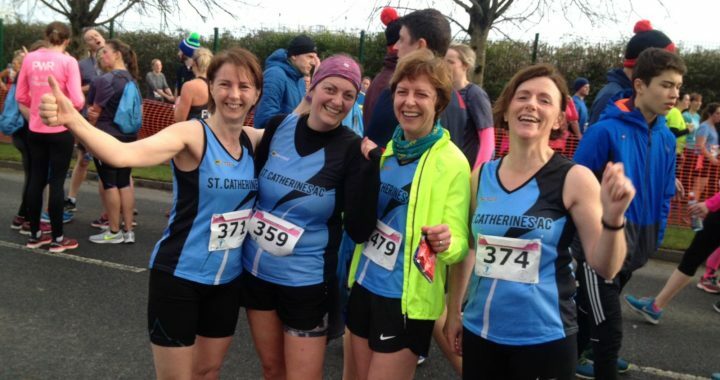 Some runners were making their debut at this prestigious race while others were looking to better their previous performances and run a new PB. Many achieved this, so hearty congratulations to all who finished. Hard luck to Frank Goss who had to pull up early on. Trevor Geary led the club home and he broke the magical 60-minute barrier, clocking a time of 59.46 minutes. 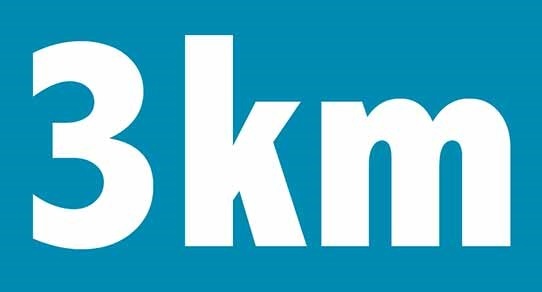 He was followed by Mike Byrne, John Beecher, Chris O’Connell, Pat Costigan, Keith Barry and Brendan Hickey who all finished within 70 minutes. The next group was led by John Mulcahy and followed by Shane Kearney, Bill O’Keeffe, Laurence O’Connor, Colin Cunningham, Frances Barry, Roisin Ronayne, Ann Geary, Kieran Harte and Paddy Ryan who all completed the course between 70 and 80 minutes. The next group were Georgina Cunningham, Paul O’Connell, Allan Carr, Sean Twomey, Siobhan Hayes, Aileen Kennedy, Noreen Daly, Kathleen Keane, Ger Sheehan and Martina O’Gorman who all finished the course between 80 and 90 minutes. The final group of runners were Brendan O’Gorman, Martin Carr, Aisling Collins, John Morrison and Niamh Pyne and they all finished between 90 and 105 minutes. 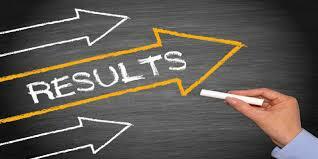 Well done to everyone on the first big race of the year. Our club members, young and old, gathered together to celebrate our athletes achievements for the 2018 calendar year. There was a great turnout from the members and their families at Conna Hall on Saturday night last. Awards were presented for Juveniles and Adults. 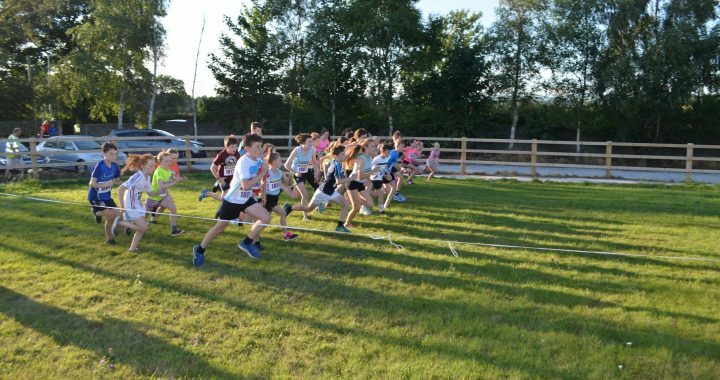 Kevin Hayes, chairman of the club, remarked on the increase of participation by athletes of all ages and the increase in membership, particularly the Little Athletics section, which resulted in more coaching requirements and more parents becoming involved in the running of the club. 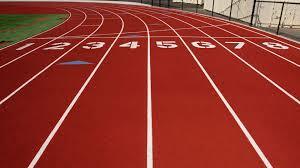 Our guest speaker was Martin Drake, chairman of the East Cork AC Board, who remarked on the great ambition of the club over the last ten years, and his own personal admiration for the youngsters over the last ten years, who have been dogged in their pursuit for silverware. He also recounted various occasions at County, Munster and All Ireland races where he would take great pride in seeking out the St Catherine’s jersey in amongst all the other clubs and roaring on the runners in turn. The club president, Dan McCarthy, presented the various trophies, assisted by Martin Drake. The most improved female juvenile is Ally Mulkerins. The most improved male juvenile is Conor Hayes. The overall juvenile winner is Laura Hayes. Dan McCarthy took great pride in presenting the award to Laura who not only had another superb year in athletics but also had the most incredible achievements in Camogie where she won 4 All -Irelands at schools, minor, intermediate and senior levels. He stated that her efforts reflected greatly on the parish and showed how a small club like St Catherine’s consistently punched above its weight. The female adult ‘Athlete of the Year’ award was won by Frances Barry. The male adult ‘Athlete of the Year’ award was won by Mike Byrnes. 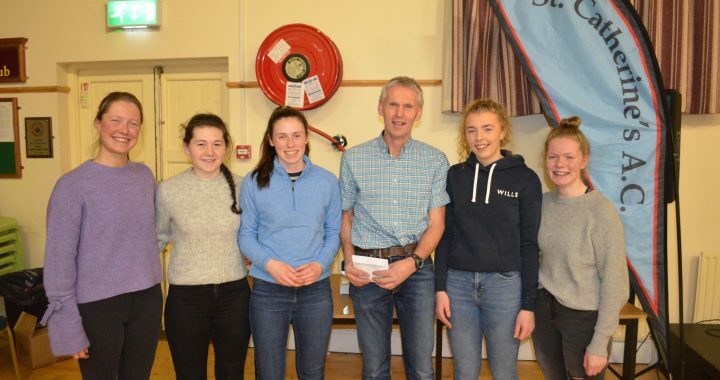 The under 19 girls team were also presented with the County Trophy for winning the under-19 cross country County title in Carrignavar. The team is Sarah Barry, Laura Hayes, Natalie Nicholson, Sarah Mulcahy and Caoimhe Hayes. In fairness to these girls, who have given great service to the club, they made a special presentation to their coach, Frank Hayes for all the great effort to turn them into such a crack outfit. Kevin Hayes also presented Natalie Nicholson with her All-Ireland ‘Munster’ team gold medal which she won recently in Navan at the All Ireland under-age Cross Country championships. The evening was rounded off by a visual display of the athletes throughout the year, followed by a fine spread of sandwiches, pastries and cakes. Thanks to everyone who helped out to put together such a memorable night. 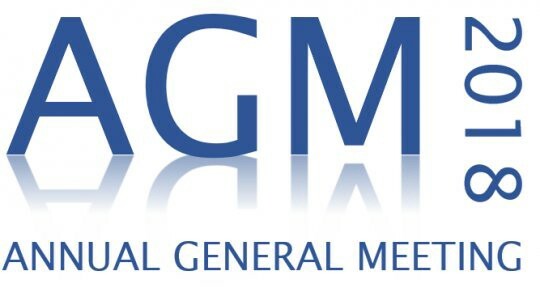 The Club AGM will be held on Wednesday 12th Dec at 8pm in Conna Community Centre. Everyone welcome to this very important club meeting.